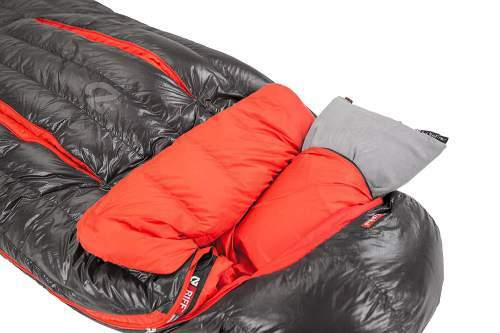 NEMO Riff 15 Degree Sleeping Bag combines two award-winning designs, the Spoon shape that adds extra space at elbows and knees areas making it ideal for side sleepers, and Thermo Gills for temperature regulation and ventilation. NEMO Riff 15 Degree Sleeping Bag. Pillow pocket inside the hood. Two sizes, R & L.
Zips together with the NEMO Jam bag for women. This is a patented design and the patent number is # D804780. Here are a few words about the features mentioned above. To understand what this is about, it is best to see the picture below, and also the girth (for the size R) at shoulders, at hips, and at knees, which is respectively, 64 in (163 cm), 60 in (152 cm), and 64 in (163 cm). 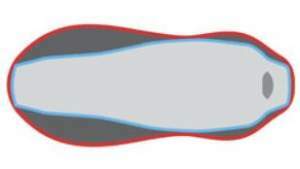 The profile of a standard mummy bag inserted into the profile of this spoon-shaped design. So you realize this bag offers more space where it is needed. They start from the assumption that many people do not sleep like mummies, and they modified the shape so the bag offers a comfort comparable to a rectangular bag. If you are a side sleeper and want to raise your knees up toward you, as most people want to do, you can do it in this bag. Note that you have the same design in their NEMO Disco 15 bag. These are two zippers which you have in the chest zone, see the picture below, introduced to split the insulation locally and to allow some heat to escape without the need to open the main side zipper. The only issue with this design is that you cannot open them from inside, pitty. Note that they have introduced this feature in several of their models, see for example the NEMO Ramsey 15 bag and also NEMO Cleo 15 for women. This is an enlarged draft collar under the chin shown in the picture below. When it is cold, you can tuck it inside around the neck to prevent cold drafts, but when it is warm you just push it out and dump excess heat. They have included this feature also in their other bags mentioned above. Three features – the blanket fold, the thermo gills, and the pillow pocket in the hood. Small zippered pocket on the shoulder area. You have 15 F (- 9 C) temperature rating for this bag (but note that they build it also in 30 F version). It is advisable to always add some 10 degrees or so for comfort. But in any case, it is good enough even for rather cold conditions in a 3-season camping. The mentioned Thermo Gills will help to regulate the temperature if you feel too warm in it. Size-wise, they build it in two lengths, regular (R) and long (L), please see some numbers in the specifications below. If you are a short person, go for the R size to avoid carrying unnecessary weight. Weight-wise, the weight of 2 lb 9 oz (1.16 kg) looks reasonable for the given temperature rating and all the features included in its design, and they describe it as a backpacking sleeping bag. Though there are lighter options on the market, take the Big Agnes Hitchens as an example, but not all of them offer such a comfort of course. Seasons-wise and climate-wise, as already pointed out above the bag is indeed for 3 seasons and you have ventilation elements if it is used in a warmer environment. On the other hand, the fill is treated so it will perform well in wet conditions. High-quality materials are used throughout this bag, so here are a few details. The fill type is 800 Power Down with Nikwax treated. Such a down stays dry longer and dries faster if it becomes wet. It also retains its loft and insulation when it gets wet. Here you have a 100% Responsible Down Standard (RDS) Certified down; if you do not know what this is about, this ensures a “humane treatment of animals throughout the supply chain”. The baffles system is longitudinal and the idea behind this is that the warmth travels quickly and efficiently through the insulation from the upper portion to the feet zone where most people need it more. But inside the baffles you have gates which prevent the insulation from moving itself. This prevents developing cold areas. The shell fabric is a rather thin 20D nylon ripstop DWR. At the foot area, you have a waterproof 40D nylon ripstop OSMO. They add this material here correctly assuming that you would touch wet walls (due to condensation) of the tent with this part of the bag, so this is indeed a useful feature. The lining is a 30D nylon taffeta and it is also DWR. Inside the hood you have a pillow pocket, so you can put your pillow here and it will stay in place, or you can just use your jacket and other pieces of clothing and make a good headrest. Note that they have their own Nemo Fillo inflatable pillow which fits here perfectly. You also have a small zippered pocket in the shoulder area, it is shown in one of the pictures above. This sleeping bag comes with a stuff sack for using it on the trail, plus a storage sack to use at home for longer periods of time. As you know, it is not good to keep the down compressed too long. This bag is designed to be zipped together with the NEMO Jam 15 bag for women and this combination then becomes a double bag. You have a full-length double slider #5 YKK zipper with a snag-guard built into the draft tube. Very comfortable for a mummy bag. No compression straps on the carry bag. I find it disappointing that the stuff sack looks so cheap and it is without the straps to compress it when you carry it on the trail. In view of its price, they could have added such a useful detail. Type: modified mummy style bag. Temperature rating: 15 F (- 9 C). Minimum weight (R): 2 lb 9 oz (1.16 kg). Fill weight: 1 lb 5 oz (585 g). Packed size (L x D): 17.5 x 9 in (45 x 23 cm). – R: up to 6 ft (183 cm). – L: up to ft 6 in (198 cm). Shoulder girth R: 64 in (163 cm). Hip girth R: 60 in (152 cm). Knee girth R: 60 in (163 cm). Shoulder girth L: 66 in (168 cm). Hip girth L: 62 in (157 cm). Knee girth L: 66 in (168 cm). You might want to see a few basic features of this Riff 15 bag compared to its close competitors, so I give one very trimmed ultra-light mummy bag from Big Agnes and yet another from NEMO. Obviously, the Riff’s packed size is not so great, but it has lots of features. Please follow the links for more details and to check for the updated prices. 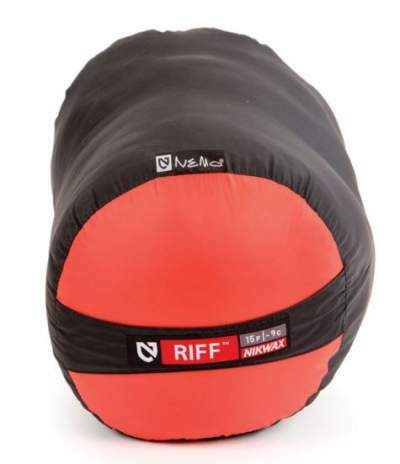 In the summary of this NEMO Riff 15 Degree Sleeping Bag review, I would point out what is obvious here and this is the high price, but also some unique and very useful features which you have seen in the text above. Note also that they also have the 30-degree option if you think this bag is too warm for you. 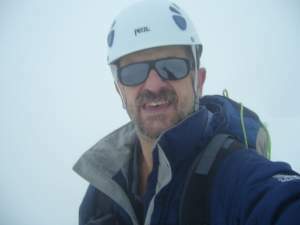 Please check in my page with sleeping bags if you need more options, and check also the list with 3-season sleeping bags. If you need a corresponding sleeping pad, please see my page with pads. 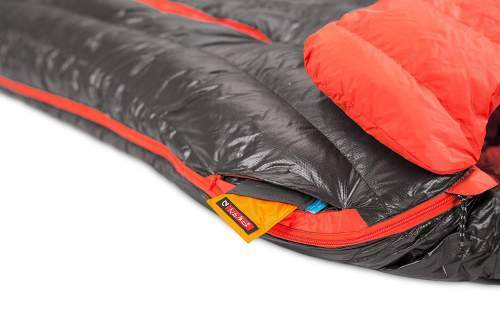 If you need something for winter, check this Therm-a-Rest Oberon 0 Degree Sleeping Bag. Thank you for reading and please use the comment box below in the case of questions or comments. I wish you a nice day.